Lose three pounds each month. Such a massive fail, I don't even want to talk about it. 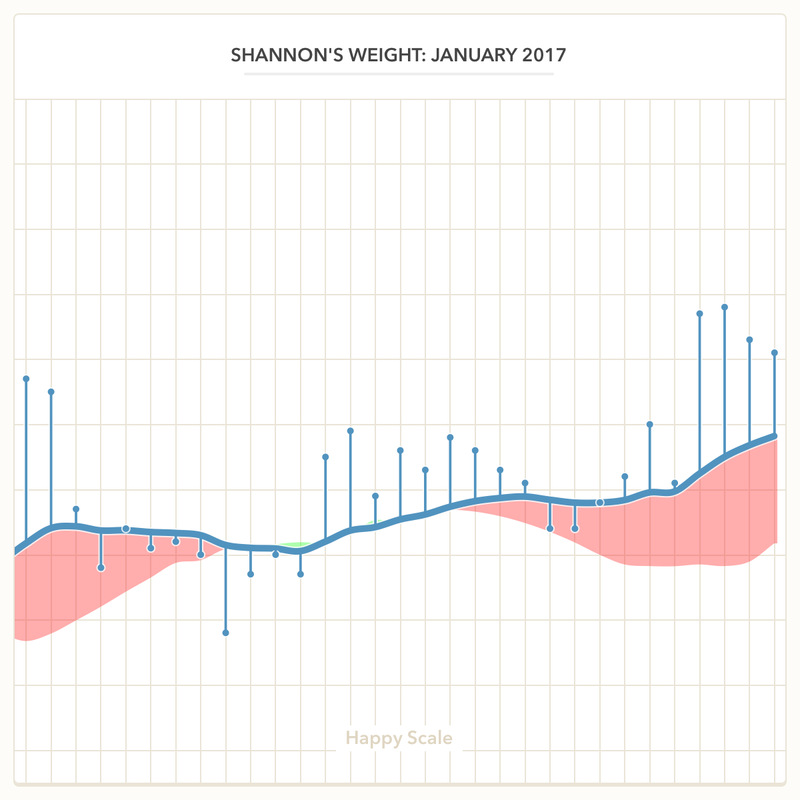 I'm posting the chart for accountability, but this sucked. Been dealing with a family emergency and it definitely reflected in the scale. 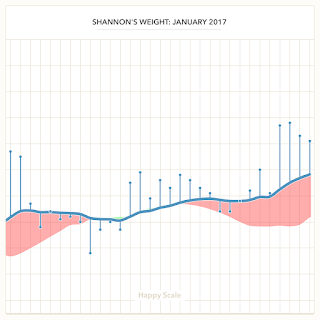 Up 1.9 pounds for the month. Work out at least 20 days a month. Success: 23 days, which isn't as many as I had honestly hoped for, and definitely not as many dance classes as I would've liked. But at least I met this goal, and honestly, without it I'm sure the weight would've been worse. Hit my 10,000 steps a day average over the month. Success: 335,155 steps for the month - 10,811 steps average. 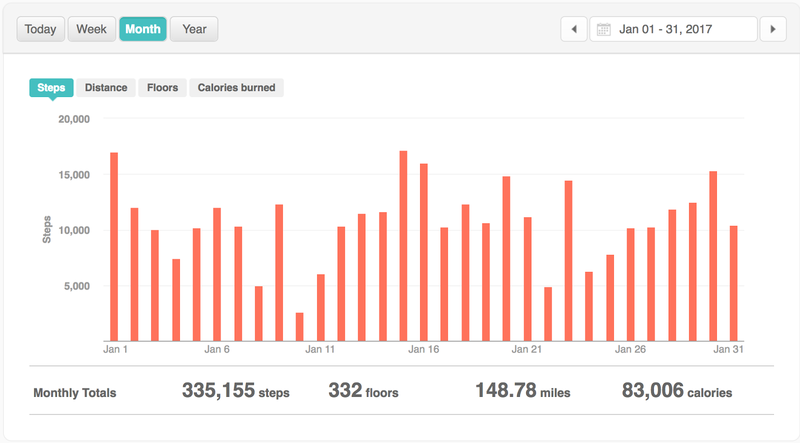 But you can see from the chart, there were some really bad days in there - 3 days with less than 5k steps per day. Hopefully next month I can not have so many 'off' days, but I won't beat myself up about it. Cook one new (and healthy!) recipe a month. Met: just one, at the beginning of the month. Gotta do this more. Boy is this a challenge right now, with the family emergency and all - but I am definitely keeping up with my daily "happy" file, and also a separate gratitude journal. Grateful that overall, my health is still better today than it was a year ago.